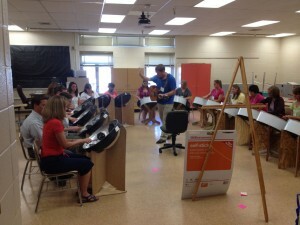 In Harford County, MD, over the past three weeks, I was part of a gigantic arts integration experiment. And the best part is, it’s just beginning! Thanks to the amazing Title I office of Harford County, five selected Title I elementary schools are embarking on a three-year immersion into arts-based learning. 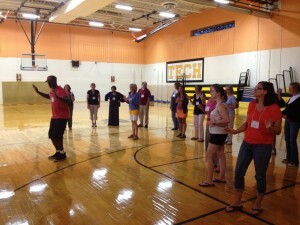 I had the singular opportunity to be a part of a team of Young Audiences of MD teaching artists who delivered three days of workshops for roughly 60 Harford County teachers. 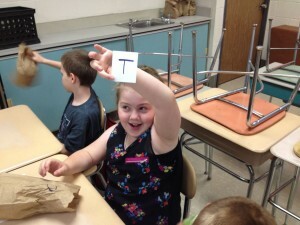 This 21st Century Learning Institute was followed up with two weeks of a program called Jump Start. Each morning, at each of the selected Title I schools, students spent their mornings studying science, math, and the art form of the resident teaching artist (beatboxing in the case of my students). But as you might expect, I and my wonderful teaching partners (Havre de Grace elementary teachers Amanda Bertuzzi, Eileen Ervine and Karrie Bandy) taught our students through the arts. 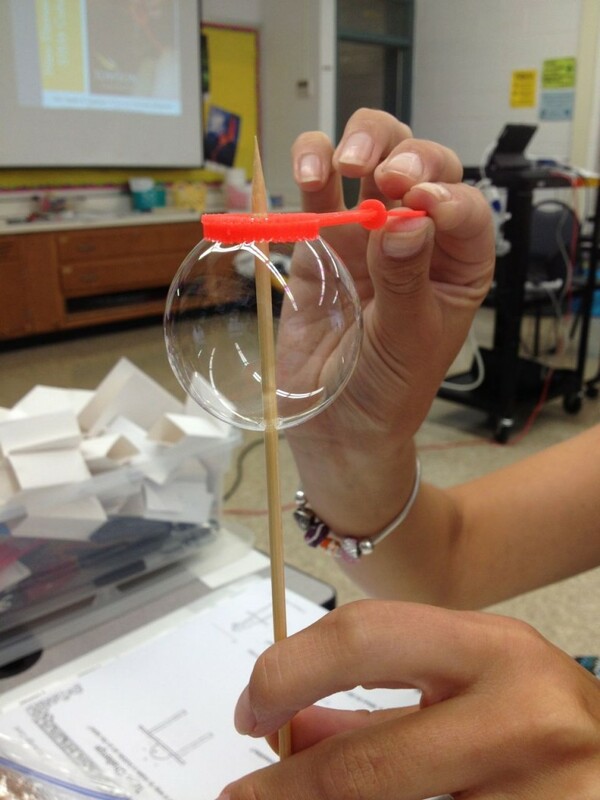 The science lessons integrated elements of visual art with the engineering design process as students studied bubbles throughout the two weeks of the program. Their activities included constructing bubble wands out of a limited set of provided materials (constraints) with the purpose of producing a specific bubble product (goals). 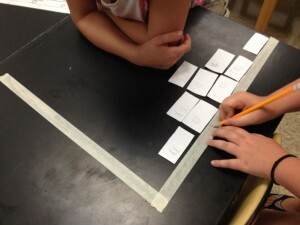 The results were varied and impressive, and the students put a great amount of energy and effort into their learning. This bubble curriculum was developed at the Boston Museum of Science. To download the curriculum, click here. 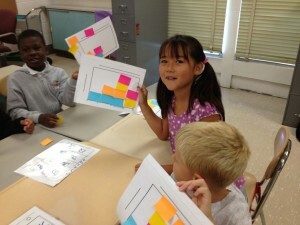 The math lessons integrated the art form of the resident teaching artist. So the students studied graphing, probability, divisibility rules, and other math topics through a musical lens. The teachers did an amazing job of embracing arts integration, taking risks (beatboxing in front of their students with no fear!) and setting a creative tone for the two weeks of the Jump Start program. In the afternoon, the teaching artists were joined by the teachers for curriculum writing, during which we collaboratively authored a collection of arts integrated lesson plans. These plans will be provided to all Harford County teachers participating in the three year arts integration effort lead by the Title I office. Importantly, during these three years, teaching artists will be visiting the five selected elementary schools once a week for a SMART day of arts based learning and collaborative teaching with classroom teachers. 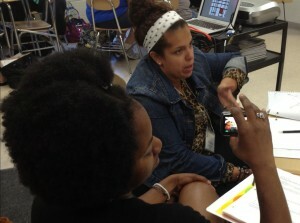 This process of educating and inspiring classroom teachers through focused workshops, co-teaching summer programs and co-authoring lessons, all supported by a consistent presence of artists in the school, offers a powerful model for how arts integration can take place effectively on a large scale. I believe that, after three years (sooner, actually) our efforts will be clearly demonstrable in the achievements of our students.